Iraq, Egypt and Jordan signed an agreement to extend the Iraqi pipeline from the city of Basra, southern Iraq, to Aqaba, in Jordan. From the Jordanian city, approximately a million barrels a day are to be transferred to Egypt, where the oil will be refined and exported to African countries. 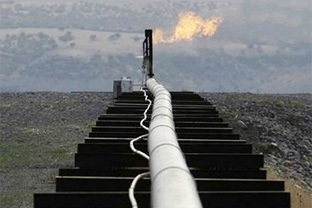 According to the information from The Jordanian Times, the countries hope to build the pipeline extension until 2017. According to the Iraqi minister of oil, Abdul Kareem Luaibi, the country’s oil production will grow "steeply" in few years and there will be need for infrastructure for the exporting.